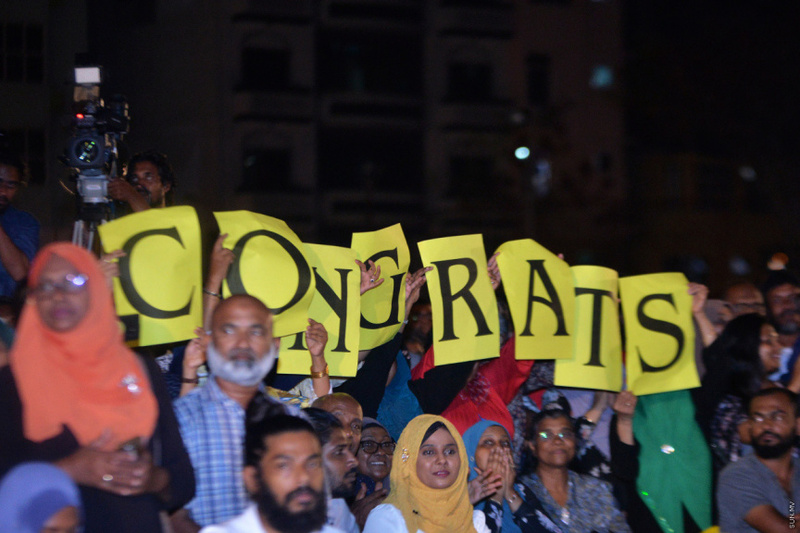 Interim results of the parliamentary election held in Maldives on Saturday, April 6, show ruling party Maldivian Democratic Party (MDP) won 65 seats while other political parties collectively won 15 seats at the Parliament. The 65 seats won by MDP ensures them a supermajority at the 19th Parliament – enough to pass amendments to the Constitution itself. 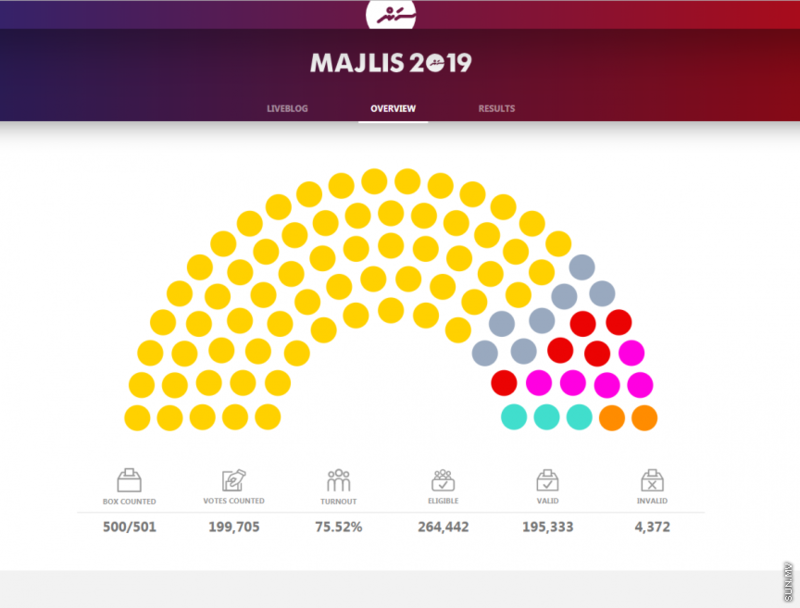 It is also the first time for a single political party to win such a majority at the Parliament since the new Maldivian Constitution came into effect. Interim results show the opposition coalition, the Progressive Congress Coalition and Jumhoory Party (JP) – which aligned itself with the coalition for the election collectively won only 13 seats. PPM won 5 seats, JP won 5 seats and PNC won 3 seats. Maldives Development Alliance (MDA), which did not form any coalition for the election, won 2 seats. Meanwhile, neither Adhaalath Party (AP), nor Maldives Third-Way Democrats (MTD), nor Maldives Labor and Social Democratic Party (MLSDP) won any seats. Maldives Reform Movement (MRM), founded by former Maldivian President Maumoon Abdul Gayoom, failed to get registered prior to the election, and the candidates endorsed by the party had run as independent candidates. 7 candidates who ran as independent candidates won – one of them a candidate endorsed by MRM. Total 386 candidates ran for the 87 seats at the Parliament. More than 50 percent of the MP-elects to the 19th Parliament were not members of the 18th Parliament. Half of the current MPs failed to get re-elected to the Parliament. Elections Commission has announced the Parliamentary Election 2019 enjoyed the highest voter turnout ever in a parliamentary election in Maldives. Speaking during a press conference ahead of the announcement of interim results last Monday, President of the Elections Commission, Ahmed Shareef noted that the election enjoyed a voter turnout of over 80 percent. Total 212,079 Maldivians voted in the election; 105,077 females and 107,002 males. The number of total eligible voters was 264,442.